Camera Creations is a Los Angeles boutique portrait photography business specializing in creating heirloom quality images of important moments and memories of people's lives. We have a Los Angeles portrait studio and travel to locations for portrait sessions and events. Wow, I am really excited that Jeanine Anderson has a new PC with the headshot photograph that I did a few weeks ago at Camera Creations studio at 490 S. San Vicente Blvd., Los Angeles, CA. 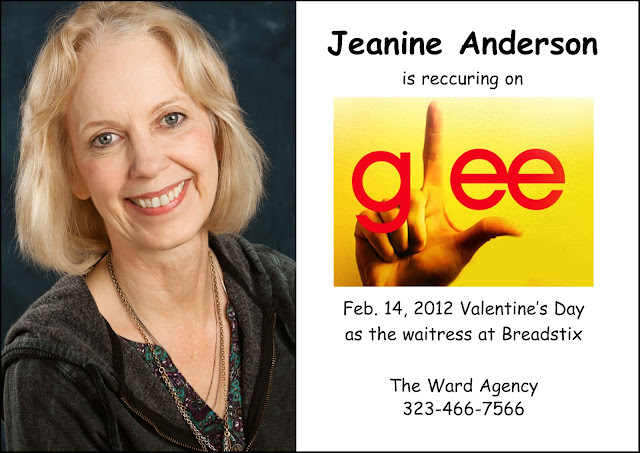 Jeanine has a recurring role on the television program "Glee". Congratulations Jeanine!